Vallombrosa. A real forest in the municipality of Reggello on the southern slopes of Pratomagno, famous for its eponymous Nature Reserve and the renowned arboretum that holds the largest Italian collection of plants grown for experimental and scientific purposes. It currently has a collection of about 5000 specimens divided among more than 700 species of trees and shrubs. At Vallombrosa you can enjoy long walks along shaded paths and visit the Abbey of Vallombrosa. Cavriglia Nature Park. Located just a few kilometers from the center of Cavriglia, among the woods of chestnut and beech trees. Hike along the trails on foot, horseback or mountain-bike and see deer, roe deer, wild sheep and other species that roam here freely. Roseto Fineschi. A botanical garden in the town of Casalone (Cavriglia). Here you can admire one of the largest private collections of different species of roses used for study and research. Vecchio Texas Equestrian Center. 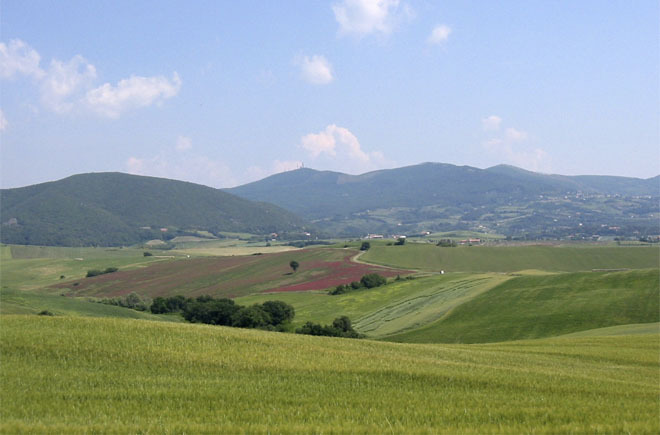 Located in Figline Valdarno, offers guided horseback tours along the trails overlooking the Chianti region.